External dimensions: 7.9 x 3.7 x 6.5 inches. 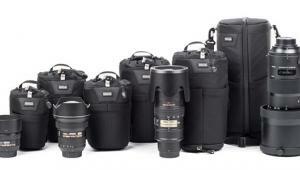 Lowepro, now part of the great Manfrotto brand, has been building award-winning camera packs and bags for more than 50 years—since 1967 I believe. 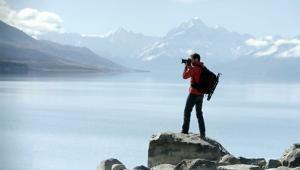 Every photographer I know has at least one Lowepro bag. Some have several. This handy cube is part of a family of carry solutions that are invaluable when it’s time to organize and pack your gear. It doesn’t have a shoulder strap; rather, it rides inside a backpack, duffle or lady’s large handbag. The Gearup Camera Box fits a mirrorless camera like my Olympus PEN F and a couple lenses, plus an extra battery, cards, and more. Perfect for those occasions when I loan a camera outfit to a friend. Internal partitions can, of course, be repositioned. And there’s a large zippered pocket that’s semi-transparent so you can see what you’ve stowed. It’s small (think about it: you can almost fit two of them under an 8.5 x 11 sheet of copy paper) but that’s a good thing—it will bring out the minimalist in you. External dimensions: 16 x 8 x 11.5 inches. 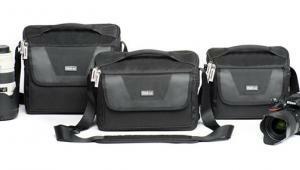 Since 1977 Tenba has been offering superlative soft-sided camera bags to the universe of photographers and videographers. I am fortunate enough to own a couple of the earlier models; I have always been impressed by the high quality construction and affordable prices of everything in their lineup. 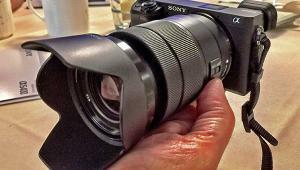 The Tenba DNA 15 accommodates a DSLR with 70-200mm attached plus a couple more lenses and accessories. And—so important in this day and age—it holds a 15-inch notebook computer (up to 14.6 x 10.6 x 1.2 inches). 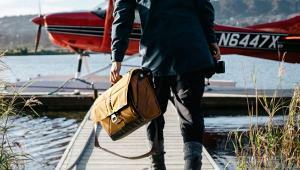 It’s an under-the-radar sort of camera bag, easily mistaken for a businessman’s attaché case. The exterior fabric is water-repellent and it comes with a reversible slip-over rain cover. External dimensions: 13.7 x 4.7 x 10.2 inches. Maker of some awesome tripods, world-class glass filters, fungus smothering drying cabinets and other photo accessories, Chinese giant Sirui (pronounced “sue ray”) is a relative newcomer to the gadget bag scene; however, this model has been around for more than a couple of years. It debuted at a premium price but now can be purchased from B&H for a greatly discounted sum—and who doesn’t enjoy a bargain? Styled like a high grade European messenger bag, the Sirui MyStory 13 will safely carry a DSLR with up to four lenses, a 13-inch laptop computer and miscellaneous odds and ends. The nicely padded interior dividers are easily adjustable. There’s a pair of attractive front straps and the front cover is secured by magnetic closures. External dimensions: 10 x 10 x 4 inches. Adorama has been marketing the Slinger line for decades. Their basic model, the Slinger SL-01 and the Slinger Holster camera case (priced at $24.95 each) have evolved over the years to a more modern look, but they still represent solid, high quality bargains. But there’s another model that’s even a better value. Worn as a sling bag or single-strap backpack, this Adorama Slinger holds a small DSLR with a large lens attached plus extra lenses, flash, et cetera. The exterior material sheds water and the zippers are the high quality, self-healing type. 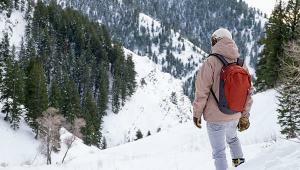 It’s equipped with a rubberized grab handle, padded shoulder strap and wide (2-inch) waist strap. 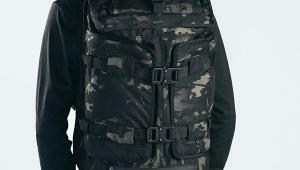 Oh yeah, it also has mesh dump pockets on either end. 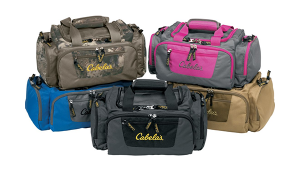 This is a cool bag at a great price and the perfect gift for a kid or beginner. External dimensions: 12.2 x 7.5 x 4.3 inches. 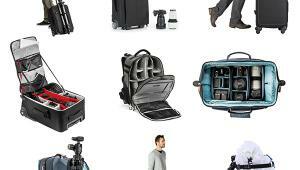 Peak Design’s Everyday series includes camera attaché cases, photo backpacks and some of the best designed camera straps the world has ever known. This company has been on my radar since they introduced their now famous CapturePRO Camera Clip, which I detailed five years ago on these pages. The Peak Design Everyday Sling 5L is my go-bag these days when I’m carrying my Fujifilm X100F and X-Pro2 cameras—together or separately. I haven’t tried it, but I am told it will stow a DJI Mavic 1 or Spark drone plus controller, batteries and charger. I like the Sling 5L for several reasons. The top opens wide and that makes it easier to access the contents. There is a shallow zippered pouch on the inside of the front flap that has small pockets presumably for memory cards or other tiny items. Inside, in either corner, there’s a stretchy fabric pouch that’s perfect for lens caps, car keys and so forth. The proprietary FlexFold inside dividers are the most amazing things I’ve ever seen inside a gadget bag. The Peak Design proprietary FlexFold divider can be adjusted to fit various types and sizes of hardware. On the outside there is a zippered pouch in front and a leather-trimmed grab handle that runs nearly the full length of the top. Also there is a padded slip pouch inside that will fit a tablet (up to about 11-inches). The adjustable shoulder strap swivels on unique corner rivets and easily converts to a waist belt. There’s a hidden pouch in the very back that cleverly hides the unused lengths of strap in either configuration. 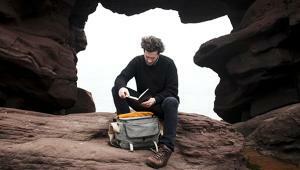 The exterior is a weatherproof 400 denier nylon canvas shell. My Peak Design Everyday Sling 5L is gray (they call the color “ash”). And I almost forgot to mention, there is a reinforced attachment strap for the Peak Design Capture Camera Clip on the left side. 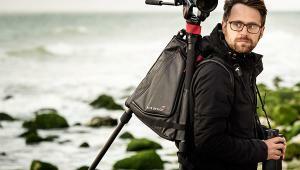 Jon, does that Sirui bag genuinely handle a DSLR and four lenses? 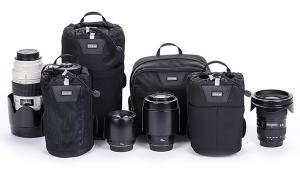 Thanks for any thoughts, and for that matter if you think any of these bags could handle that mix of equipment, please do let me know — the Incase is adequate but I've been ready to upgrade for a while. 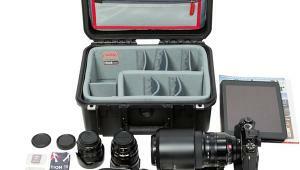 Determining how many lenses fit in a camera bag is risky because, of course, lenses come in all sizes. But you can fit four in the Sirui 13 by stacking two on one side, leaving one mounted on the camera body, and placing the other in the empty slot. As far as the best bag for your camera gear, the best advice I can offer is that you visit a camera shop with (at least) the Nikon body and Tamron zoom and try a few on for size. That's the best way. 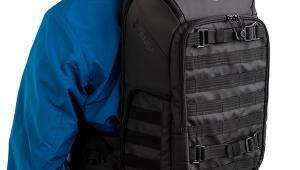 Be sure to take a look at Peak Design's Sling 10L ($149) and Think Tank Photo's Turnstyle 20 V2.0 ($99). for that advice and for taking the time to answer, Jon. I'll check those two models out. Much obliged!